It’s Fourth of July weekend, so you can be sure that you’ll be within a briquette’s throw of a sizzling frankfurter, sausage, brat, or combination thereof. Thanks to FIG chef Ray Garcia you can dress your links to impress with this zesty marmalade which will be sure to add a kick to anything off the grill. 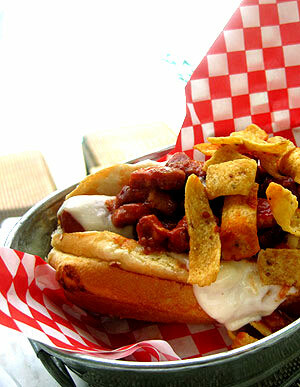 Top with a few Fritos and you’ll be in hot dog heaven.